Downstay is owned and operated by Alexandria Brown, Ph.D. and is located in Northampton, Massachusetts. Dr. Brown is an applied animal behaviorist. I am so energized by the amazing bonds between people their animals. This bond is one of the most important and most neglected attachments in the lives of many humans, which is a shame because it directly impacts our quality of life and that of our pets. My Downstay Method is focused on these central relationships and building a team with your animal. Downstay is heavily influenced by positive reinforcement training methods, but also draws from brain development biology and psychology, physiology, and trauma and learning theory. During my Ph.D. I studied the neurological and hormonal underpinnings of aggression and physiological tradeoffs. I did 2 postdoctoral research positions: one in molecular biology and one in biostatistics. I teach graduate-level Animal Behavior at UMass Amherst and I have given seminars across the country, from San Francisco, CA to Ithaca, NY. My likes are running with dogs, working with animals, and getting to know my clients and their pets. Meet Nicholas, trusty Downstay assistant. Assistant Nick helps with day-to-day Downstay business. Nick is a mighty outdoorsman and can almost keep up with Dr. Brown on a half-marathon (almost). His likes are hiking with and without dogs, rock climbing, being a firm but benevolent leader, and petting all of the cats. All of them. Meet Teddy, the Downstay dog. Mr. Teddy Heartnose is a border collie, and a study volunteer at the Yale University Canine Cognition Center. 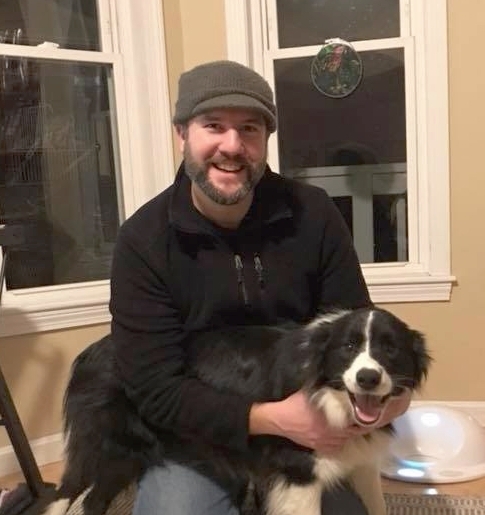 Ted participated in the Big Hairy Border Collie Study through the Royal Veterinary College Canine Epilepsy Project, and the PALS study at the University of Massachusetts Amherst. He's a playful, mischievous little imp---but a friend to all creatures great and small. His play bow is so legendary that it even appears as the official Downstay logo. His likes are people, his best friend Gracie, barking at bugs, and his tug toy.